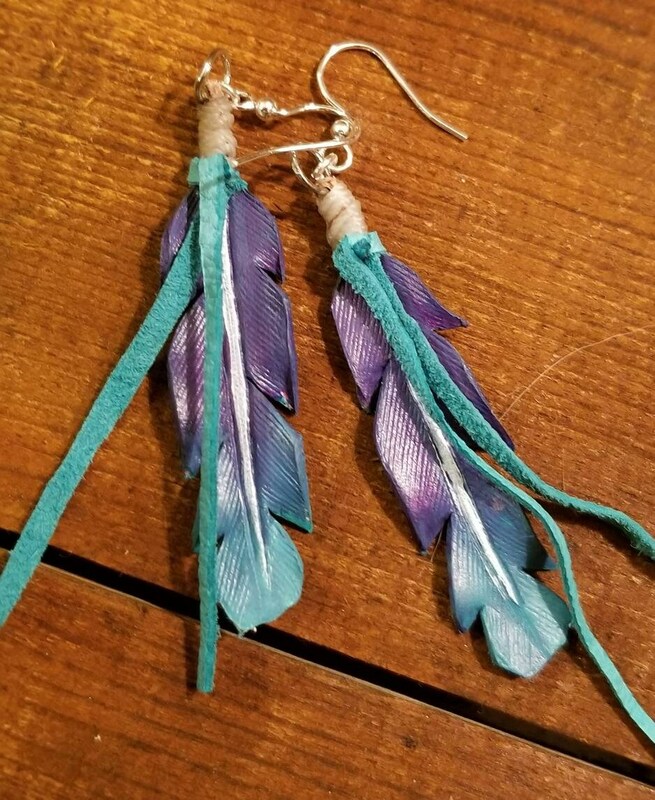 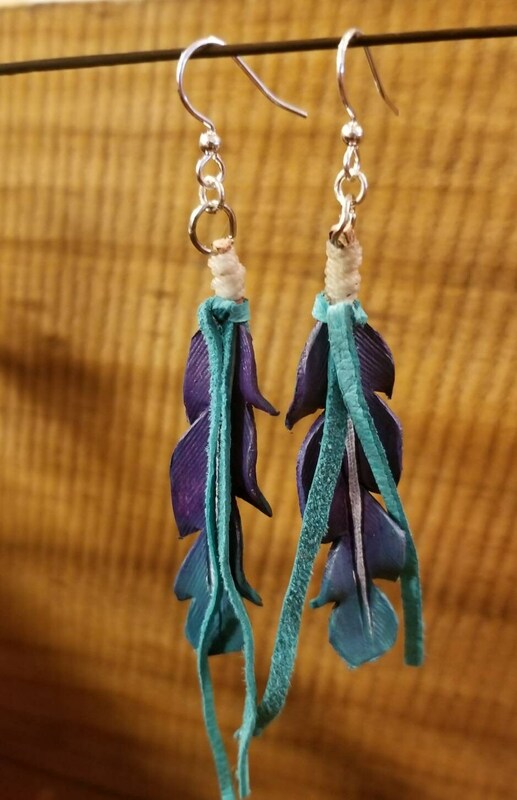 A bold purple to turquoise ombre give these leather feather earrings their classic style. 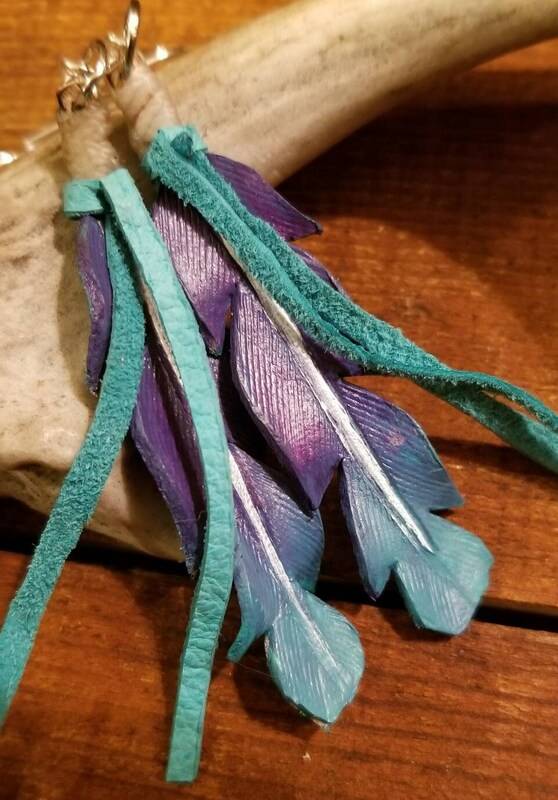 Hand-cut from leather, after shaping, the feathers have been hand-painted and accented with a turquoise tie. 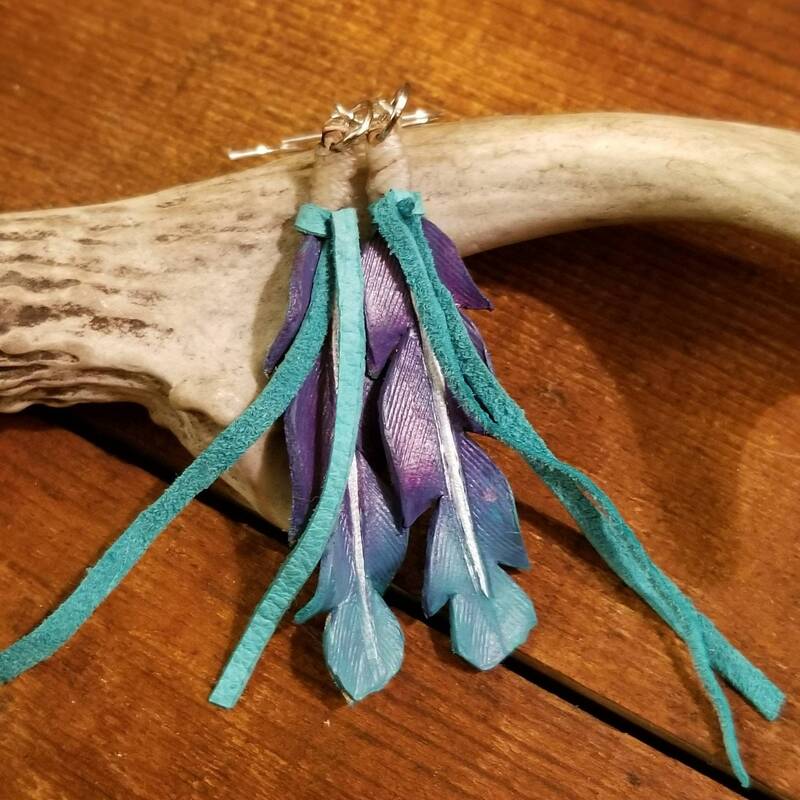 The 2.75 inch earrings hang from nickel free silver earring wires.